ADRIAN Majstrovich's return to the SBL, the league-leaders taking on the defending champions and the in-form Stirling and Cockburn trying to chase down the out-of-form Joondalup are just some of the highlights of Week 13 action. Majstrovich has signed with the bottom-of-the-table Silver Lake Resources Goldfields Giants who have already shown improvement in recent weeks and now could provide one more headache for a Wolves team already on a four-game losing streak. Meanwhile, the Senators and Cougars are breathing down the neck of the Wolves' spot inside the top-eight while the weekend's action will also see the league-leading Buccaneers host the defending champion Lightning on Saturday night in just one of nine intriguing contests. There are four men's SBL matches on Friday night with the Mandurah Magic facing the Perth Redbacks at the Mandurah Aquatic and Recreation Centre with the Perry Lakes Hawks also doing battle with the Collie Crane Hire South West Slammers at the WA Basketball Centre. The Raw Nutrition Cockburn Cougars also face the Willetton Tigers at Wally Hagan Stadium and the Stirling Senators play the Vorian Agency East Perth Eagles at the Warwick Leisure Centre. All four Friday night men's matches tip-off at 8.30pm. The Magic and Redbacks both are looking for a top-four finish and those hopes go on the line on Friday night when the two teams meet in Mandurah. Mandurah currently holds that fourth position with an 8-7 record on the season but having won just one of its last three matches while Perth lost twice last weekend to Stirling and Geraldton. While the two defeats were only by a combined five points, it did see the Redbacks slip to a 9-8 record on the season. The two teams already met earlier this season in Week 3 with the Magic beating the Redbacks by 11 points. The Hawks must beat the Slammers on Friday night to remain in touch of a playoffs berth as well but it's going to be far from easy for them. Perry Lakes has now lost two straight and four of its last five matches to slip back to a 6-9 record on the season down in 11th position so another loss on Friday could put the first nail in its coffin in terms of wanting to play finals this year goes. The Slammers, on the other hand, have lost two of their last three games as well but do still sit in fifth position in the standings on a record of 8-7. Two teams with vastly different recent form then clash when the Cougars take on the Tigers. 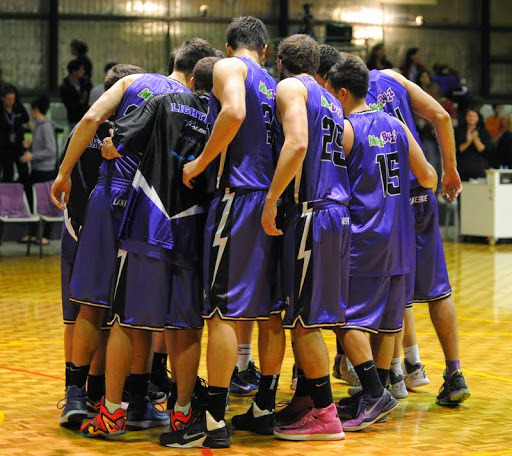 Cockburn, the 2012 men's SBL champions, has rocketed back into playoffs contention with three straight victories against Lakeside, Rockingham and Joondalup. So it isn’t just the fact that the Cougars have won three straight, but they are against three teams most consider to still be championship contenders so they are right back in the mix but have given themselves a lot of work to do. Despite the impressive recent form, Cockburn only holds a 7-9 record to be in 10th position but another win on Friday against Willetton and it continues to make a charge back towards the finals. Meanwhile, Willetton is already just about out of contention despite having a dynamic import duo John Dickson and Quinn McDowell. The Tigers have lost four of their last five matches to now sit on a 5-9 record and also having won just once on the road this season as they head to Cockburn. The two teams played earlier in 2014 in Week 2 with the Tigers winning on that occasion at home 102-89. The final Friday match is then a contest between two more teams in good form but who are far from guaranteed a playoffs berth as the Eagles host the Senators. East Perth has been without centre Tom Jervis and will be again, but has hit its best form of the season now on a six-game winning streak but that only sees the Eagles sit on a 9-8 record in seventh position. And Stirling has now strung two wins together to improve to a 7-7 record but the Senators still sit outside the top-eight. Stirling and East Perth did already play in Week 2 this year with the Eagles winning that match at home 110-99. 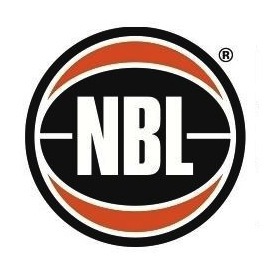 There are then another five matches on Saturday night with the Silver Lake Resources Goldfields Giants facing the Joondalup Wolves at Neils Hansen Basketball Stadium and the Sun City Plumbing Geraldton Buccaneers playing the Lakeside Lightning at Active West Stadium. Both matches tip-off at 7.30pm. Then at 8pm at the Eaton Recreation Centre the Collie Crane Hire South West Slammers face the Raw Nutrition Cockburn Cougars. And at 8.30pm, the Orange Autos Rockingham Flames take on the Stirling Senators at Mike Barnett Sports Complex and the Kalamunda Eastern Suns battle the Perry Lakes Hawks at Ray Owen Sports Centre. The Buccaneers host the Lightning in what looms as the match of the round on Saturday night in Geraldton. The Buccaneers are now clear on top of the men's SBL standings with a 14-3 record having won seven straight matches but the defending champion Lightning have now also found some form with three consecutive victories to remain in third position on 11-6. With the Buccs likely the championship favourites now and the Lightning still confident of defending its title, Saturday night should provide one of the highlights of the season so far when the two come together. They already played in Week 7 of this season as well with the Buccaneers winning convincingly on the road against the Lightning 121-97. The Giants might be on the bottom of the standings but have been playing good basketball of late and they host the struggling Wolves on Saturday night. Goldfields has just won three of 16 games this season, but returned to the winner's list beating Perry Lakes last Sunday and now host a Joondalup team on a four-game losing run who is now in danger of slipping outside the top-eight at 8-8. Helping the Giants further and making the Wolves' job much tougher is the arrival of former NBL player and SBL star at Kalamunda, Perth and Perry Lakes Adrian Majstrovich who brings his average of 27 points and 12 rebounds a game back with him into the SBL. The Giants and Wolves already met this year back in Week 9 less than a month ago with Joondalup winning that match at home by 19 points. The Slammers host the Cougars in another tantalising Saturday night match-up with South West returning home to back up a road clash with Perry Lakes on Friday. Cockburn will also be backing up a game at home on Friday night against Willetton. The Flames also host the Senators with Rockingham making its only appearance of the week looking to keep pace with the league-leading Buccaneers. The Flames currently sit on a 13-5 record having beaten Perry Lakes last Friday to end a two-game losing run. Stirling will enter the weekend in good form but goes into the clash with Rockingham having already played at home to East Perth on Friday. The Eastern Suns then take on the Hawks in Kalamunda with the Suns looking for their fourth win of the season and the Hawks having backed up from playing at home to the league-leading Slammers on Friday.